Japan is publishing the Economy Watchers Sentiment and Current Account data and the US will release IBD/TIPP Economic Optimism and NFIB Small Business Index. 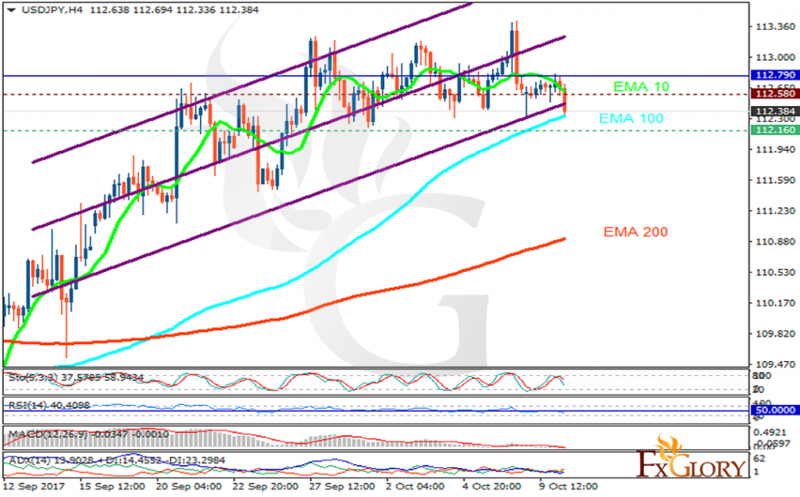 The support rests at 112.160 with resistance at 112.580 which both lines are below the weekly pivot point at 112.790. The EMA of 10 is moving with bearish bias in the ascendant channel but it is above the EMA of 100 and the EMA of 200. The RSI is falling towards the oversold area, the Stochastic is showing downward momentum and the MACD indicator is in neutral territory. The ADX is showing sell signals. Short positions are recommended towards 111.5.